We will analyze and research your niche in great details. The planning process is a main part of every strategy and campaign. Well-done analyzes and plans lead to effective start and positive results. It’s a well known fact, that nowadays, people make their decisions after “asking” the search engines. The more your business is visible for the users, the greater amount of sales will generate. We, from digital agency eSale.bg, can help you with this. We have worked on more than 100 successfully done SEO campaigns. 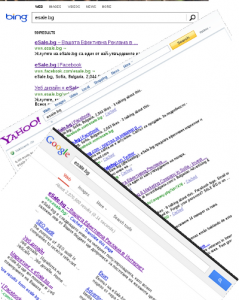 Positioning your business in search engines results is not a luxury any more, it is something necessary. Everyone, who thinks that this is not a big deal, will be under his competitors. And this is definitely not the right strategy. We believe that there is no such thing as unattainable goals, when it comes to SEO of a web site and its positioning in major search engines like: Google, Bing, Yahoo, Ask, Aol and others. Every single SEO campaign is specific and a challenge for us. We know what it takes to be good at something. Read more. Communicate with your audience! Your competitors are already doing it! Let us great and improve your social marketing strategy. Nowadays, everyone has account, at least, in one social site – Facebook, Twitter, Google+, Linkedin, Pinterest, YouTube. We can meet your audiance there in order to present them your product, brand, business, in the way you want to. You will have the opportunity to increase your popularity. The eSale.bg team will help you step forward in major social media sites. We have developed the presence of many companies in different fields such as insurance, finance, advertising, home accounting, entertainment, technology, tourism, health care, construction, manufacturing and many others. 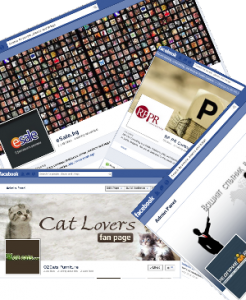 Help your business meet your potential clients in social sites. Justified investment. Read more. Attract your clients attention fast and effective. Thanks to the sponsored ads in major search engines (and their networks), you can force your sales and get the best returns for your invested money. We can help you create, manage and optimise your ads. That way you will increase the targeted traffic to your web site, which means more sales and popularization for your business. As an experts with years of experience in this field, we will guarantee you instant results. We successfully manage more than 20 campaigns, that justify their budgets each single month. Learn more. With the fast progress in the communications, there are a lot of opportunities available, that your can take advantage of them at any time. Internet is becoming one of the most wanted channels of promoting your business. Learn more. Promote your brand and product. Become part of the market today! You’ve seen banners or graphic ads of the big brands and companies very othen? Yes, this is a good way to brand your business. Large and medium companies rely on it. By doing it, you are looking in the future. Our experience with CPM (click per mile) ad shows us that the budgets that a company has invested return with the time. We have created and managed campaigns for major banks, IT companies, financial and insurance companies, building and automotive companies, and many others in almost every sector of the economic. According to our experience, the display advertising marks gains each year with around 20%, the most active participants are as follow – banks and financial organizations, automotive, pharmaceutical, telecommunication companies and others. We want to give our thanks to eSale.bg for their professional marketing plan, specially made for our company. Because of that, we attracted more members to our online club. 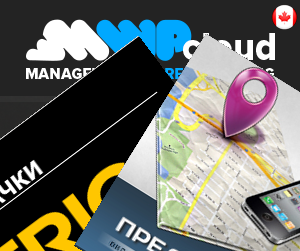 We use digital agency eSale.bg for our campaigns, that we do on a regular basis. We need their help, ‘cuz of the amount of the promoting channels we use to reach our potential customers. Two sponsored ads done and more than 500% growth of the traffic. It is not necessary to mention that this brought us more sales. Many thanks. We run a small office and our clients could be counted on a fingers. We have improved our online popularity thanks to eSale.bg. Now the results are much more better. Choose companies with history and successful projects behind them! Learn more about our successful online campaigns. We are waiting for your questions!